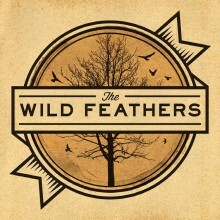 The Wild Feathers is set to release their debut self-titled album on August 6th, and have released two singles from the release so far. It’s another take on the classic American rock ‘n roll sound with some hints of country, folk, and blues. It’s a sound that’s not that uncommon right now, but based on the two tracks below I’m really liking what these guys bring to the table. Check out “Hard Wind” and “The Ceiling” below. The Wild Feathers’ new video for “Hard Wind” recently premiered on CMT. The single is included on their self-titled, debut album, out August 6th. Watch the Video for “Hard Wind” HERE. The five guys in The Wild Feathers came together in Nashville in 2010 through coincidence, mutual friends, and a shared love of the classics: Petty, Dylan, Cash, The Band, Allman Bros, Neil Young and Graham Parsons. They’ve been playing their American rock-n-roll throughout the south for the past six months, with stops at the Hangout and Sasquatch Festivals in between. They’ll be touring with Mr. Willie Nelson in August. Watch the video for their first single “The Ceiling” HERE. It’s currently climbing towards the Top 15 at AAA radio.